HIMACHAL Pradesh in the national context, especially with Lok Sabha polls around the corner, gets relegated to insignificance. 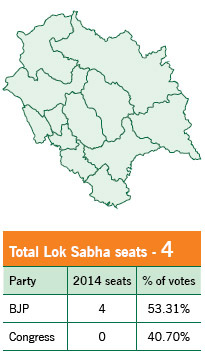 With just four seats at stake, it is like an etcetera state. The national parties have seldom considered it an important state. 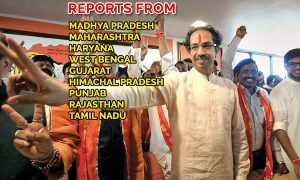 This time around, the state leadership of both the parties did several flip flops before finalising the candidates. 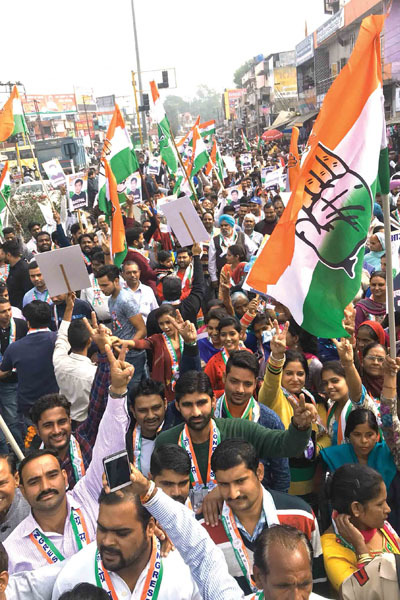 Keen watchers of Himachal affairs say that Congress was in a position to wipe out the BJP on all the four seats. But the party gave away the advantage by inordinately delaying the announcement of the names of the candidates. On the other hand, BJP almost nowhere in the reckoning about a month ago, seems battle ready and possibly might throw a surprise. Here issues aren’t issues, candidates are: As the adage goes, a week is a long time in politics. Both the parties spent the entire month of March discussing names of candidates and their win-ability. 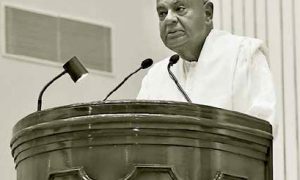 The caste arithmetic and chemistry of candidates with the respective party leaders and voters remained a topic of discussion. Visheshwar Negi, a keen observer of Himachal affairs, says that suddenly candidates have become more important than issues, which is a sad part. The most sought after contest will be witnessed in Mandi. Here the former Union telecom minister Sukh Ram’s grandson Ashray Sharma will take on sitting MP Ram Swaroop of the BJP. Sukh Ram, who was a Congressman for 60 years, joined BJP about five years ago. His son Anil Sharma was made a minister by the BJP in 2017. Now, the grand old man of Himachal politics wants to ensure that his grandson Ashray is also able to kick start his political career. He calls his joining Congress as gharwapsi. Though, Anil Sharma still is part of the BJP. But will Ashray win? 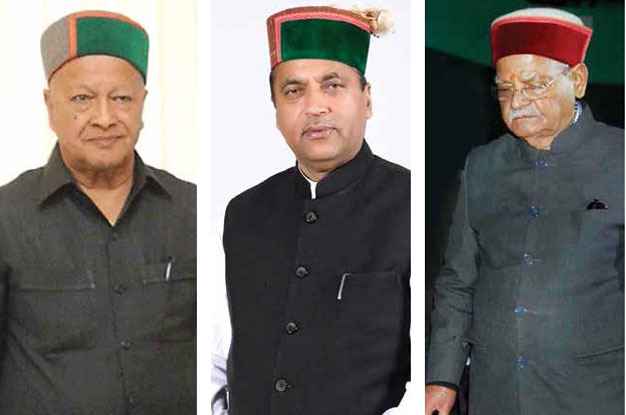 Former CM Virbhadra Singh, a long-time Sukh Ram rival, can easily see in Sharma a potential party rival of his son Vikramaditya Singh. He has said that he does not like the aaya ram gaya ram politics (referring to Sukh Ram’s leaving and coming back). The BJP candidate Ram Swaroop may not be the best bet, but the fact that Mandi is currently a BJP bastion, and CM Jai Ram Thakur himself comes from here, this constituency is going to be any pollster’s nightmare. The Shimla constituency has Suresh Kashyap pitted against Lt Col Dhani Ram Shandil, who seems to be the only safe choice Congress made well in time. From Hamirpur, it is going to be three time MP Anurag Thakur against Thakur Ram Lal of Congress and in Kangra Pawan Kajal of Congress will take on Kishen Kapoor of the BJP. Though issues are not very important this time, unemployment, price rise and drug abuse are three that have some echo. But will these issues matter? One sitting at the Shimla Coffee House and you know the narrative. The thing with the voters here is that the issues are discussed to win arguments, such as, was Balakot the masterstroke? 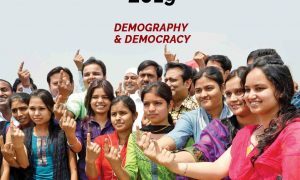 Is Nyay Congress’ best bet? Have LPG prices gone out of reach? “Someone, who can afford to sit at the Coffee House should not be bothered by the LPG price rise,” says a senior Shimla-based journalist. Argument is for the candidates to make and their job is to vote on the basis of performance. She rightly sums it up by saying that the problem with the middle-class voters is that they intellectualise the narrative and vote on the basis of caste and not performance.